How about a brief Heart-to-Heart? As you may know, February is National American Heart Awareness Month, sponsored by the American Heart Association. Did you know that today Friday, February 3rd is Wear Red Day to promote Women’s Heart Health? Everyone can show their support by wearing something Red. You may even go a step farther and post a Selfie on Friday of your Red Attire with Hashtags #WearRedDay #AmericanHeartAssociation, #MenWhoLoveWomenWearRedFeb3rd!, or #GrillMastersWhoLoveWomenWearRedFeb3rd. You can even wear Red BBQ Sauce on your face- like in this Recipe from Grill Master Randy Hill, from #SouthernKrunk #BBQ Team. 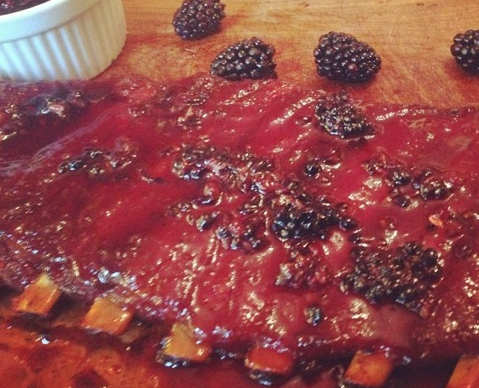 For Easy (EZ) Quick Start Recipe, Chef Randy starts with McClard’s BBQ Sauce and uses Blackberries. You have option of using your favorite Red BBQ Sauce or make Homemade All Natural BBQ Sauce. There is also a Quick Sauce you can make by mixing BBQ Dry Rub with any Ketchup you may have in the Pantry. For many people, the difference between Grilling and Barbecue comes down to one simple thing- Wood Smoking. Though Chefs can now do it indoors using Smoke Guns, many Home Grillers have yet to introduce the technique into their cooking. Especially those who use Gas Grills. I was recently hired to come to the aid of a wife, who purchased 2 Grilling Lessons as Father’s Day Gifts for her husband. It seems that a brand new Built-in Gas Grill that she gave him for his Birthday, had sat unused for over 9 months. She put me in touch with her husband, who we will call Josh, by email. He informed me that he planned to invite “a few friends” over after our Lesson, to try out his food from the new Grill. No Pressure. We agreed that he would get most of the meats in advance, so we could do an abbreviated shopping trip before getting started. We did Recipes for Grilled Vegetables, Shrimp, Steak and Chicken Breasts. Feel free to use your own Rub or any you may already have in the Pantry. 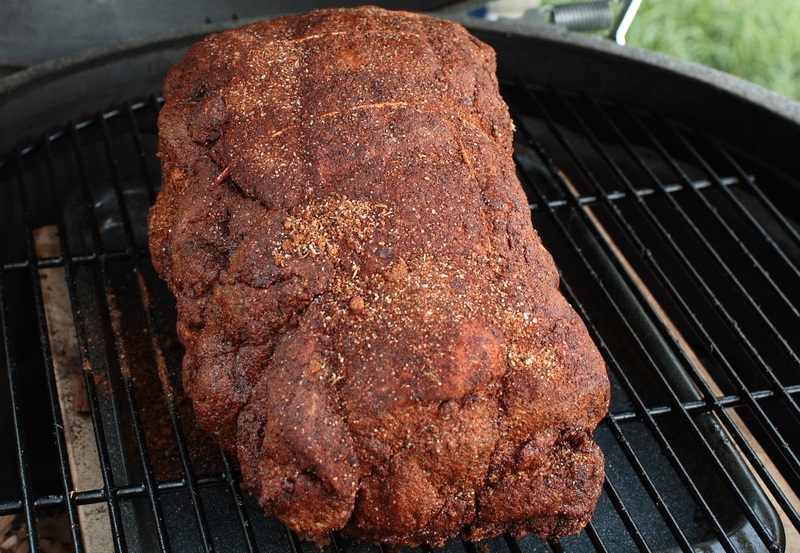 If you have none, here are a couple of Home BBQ Rubs Recipes. This Simple Rub is set in Tablespoons, but feel free to multiply portions or use 1/4 and 1/2 Cup measuring cups. It is no secret that my favorite is a No Salt/Sugar Rub called HEROIC! that I developed for California Gold BBQ Rubs. It contains Garlic, Smoked Paprika, Red Bell Pepper, Onion, Turmeric, Cumin, Cinnamon, Thyme, Fennel, Allspice and Nutmeg. If you happen to have any of the above Ingredients, which are commonly known as “Superfoods”, feel free to experiment adding 1(whole), 1/2 or 1/3 Tbsp to your BASIC RUB at Home. Also look for my description of SMOKING USING WOOD CHIPS AND CHUNKS and Recipes for Grilled Vegetables, Shrimp, Steak and Chicken Breasts from this Session.